What would YOU do for the BIG BLUE? Show your support for our mission by repping the most important question we ask. #TeamBigBlue is our family and by wearing one of these shirt, it shows that you're a part of it, too! 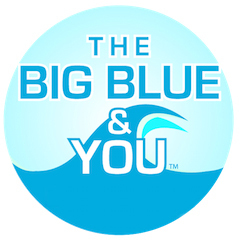 TeamBigBlueBB&Y is a 501(c)(3) non-profit organization that provides a GLOBAL PLATFORM for our young generation to CREATIVELY EXPRESS their passion for the ocean and empower them to take ACTION to protect our blue planet.